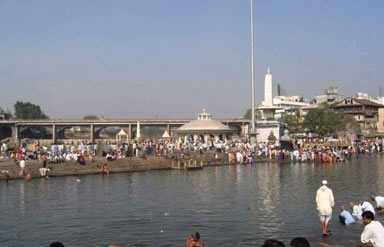 Nashik, being one of the holiest cities of the world is a famous destination for Hindu devotees. The beautiful land of temples is located in the Western Ghats. Flourishing valleys and mesmerising surroundings are the foremost things that one notices as he enters the city. This religious city hosts the famous Kumbh mela once in twelve years. According to Hindu Legend, Lord Rama made home in Nashik during his 14 years of exile. contemporary institutional and public architecture make it a diverse city. Apart from all these, this ancient city has also participated in freedom of India. The city is a prime destination for devotees, art lovers, history lovers and who have the thirst of spiritualism. Ramkund is a famous holy tank which contains holy water. It is believed that Lord Rama and her wife Goddess Sita used to bathe here during their exile. Kalaram Temple is surrounded by many other temples. 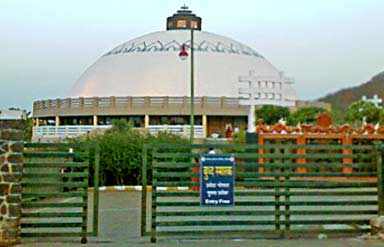 Its seventy feet hight and beautiful architecture make it a must visit spot. 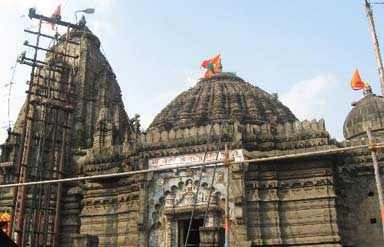 Muktidham Temple is another major attraction of Nashik. Eighteen chapters of Geeta written on the wall are worth paying a visit and make it a spiritual place. Coin Museum, Sita Gufaa, Tapovan, Phalke Smaarak, Sundarnarayan Temple, Trambakeshwar, Stone Age Site and Mineral Museum(Gargoti Sangrahalaya) are some other attractions that are must to visit during your tour to Nashik. The months between October and March are considered as the best time to visit this spiritual city. 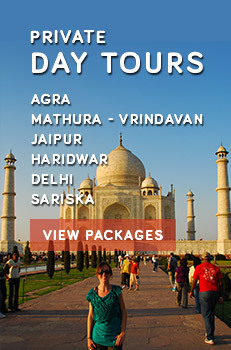 There are several hotels, guest houses and lodges available for the accommodation of the tourists. By Air: Nashik Ozar airport is the nearest domestic airport which is well connected to Mumbai Airport. Tourists can reach Mumbai airport and then can further take a flight to reach Nashik. By Road: The amazing city is connected with Mumbai with frequent bus service. One can hire taxi from Dadar also. By Rail: Tourists can reach Nashik from Pune and Mumbai. From both the stations, trains are available on regular basis.